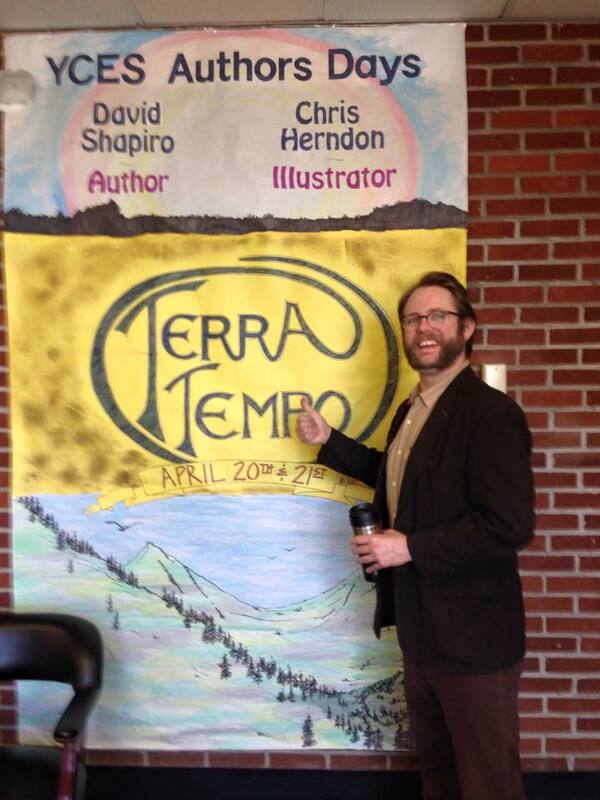 Terra Tempo is an earth science graphic-novel series written by David Shapiro and illustrated by Christopher Herndon. Both author and illustrator conduct assemblies and workshops to teach elementary school kids fun facts about the Missoula Floods, the Ice-Age Era, and other natural history facts from the Big Bang to yesterday. OUR AUTHORS AND ILLUSTRATORS ARE AVAILABLE FOR PRESENTATIONS, ASSEMBLIES, AND WORKSHOPS AT YOUR SCHOOL, MUSEUM OR LIBRARY. David R Shapiro's presentations are available to Portland, Oregon and Vancouver, Washington area schools, students and groups. Special arrangements can be made for other states. Take a temporal trip with author and naturalist David Shapiro as he explores the natural history of the earth from the Big Bang to yesterday. Utilizing slides from all three Terra Tempo books, David explores the weird and wild history of life on Earth. Highlights include the Cambrian explosion, the Great Dying, dinosaur times, the rise of mammals and birds, Pleistocene megafauna, and more! This presentation is best for grades 4th to 6th. 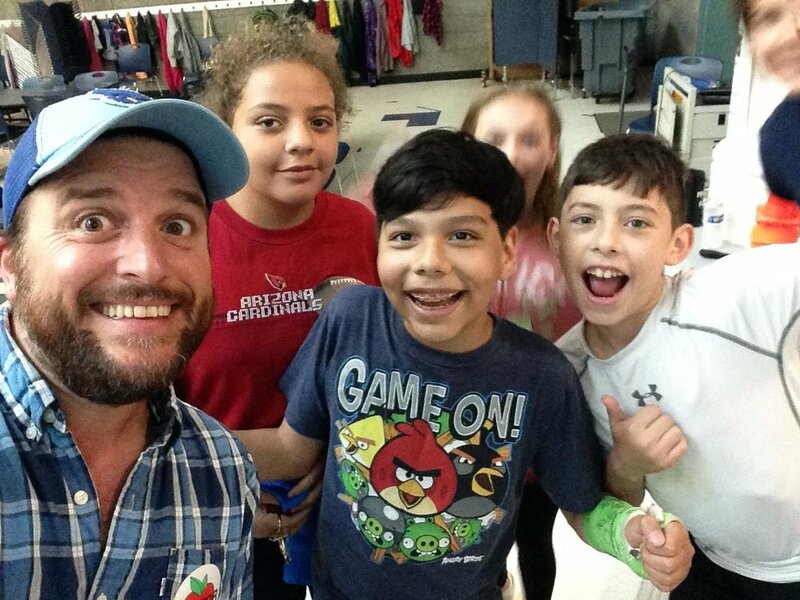 David and Chris are available to work together to create presentations for school book fairs, bookstore presentations, library events, home school learning, and more. Send us your ideas and we'll go from there! Click on the buttons below to access printable materials to use in your classroom. Fun lessons to bring natural history and vocabulary into your classroom. Student workbooks are designed to be printed on 11x17 paper then folded and stapled. Teacher's guides designed to be used on tablet or computer. The Terra Tempo series is an excellent fit for meeting Common Core Standards in 4th-7th grades! "The Common Core asks students to read stories and literature, as well as more complex texts that provide facts and background knowledge in areas such as science and social studies. Students will be challenged and asked questions that push them to refer back to what they’ve read. This stresses critical-thinking, problem-solving, and analytical skills that are required for success in college, career, and life." 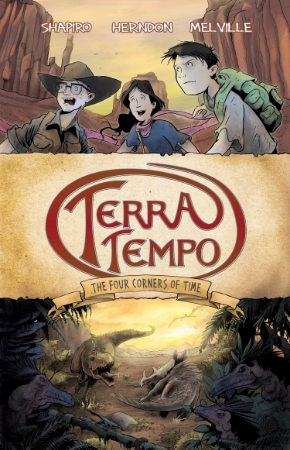 Because Terra Tempo is information and blends research of geology and paleontology into the media of a graphic novel, it fits perfectly into the Common Core Standards. Here is a list of the standards that Terra Tempo aligns with. Please read this link from the Common Core website. 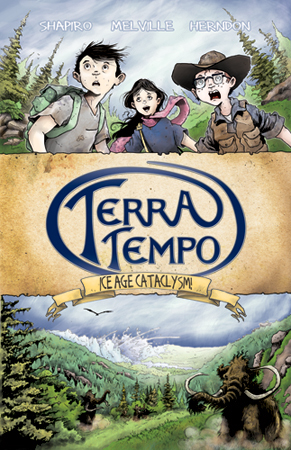 Check out www.iceagecataclysm.com to see a fun, interactive website that presents the characters and geography of the first Terra Tempo book. It's a great way for students to become familiar with the topic of the Missoula Floods and the story of Terra Tempo. Please send us your inquiry for presentations! Please include detailed request in the message box below.